Fishing for most people is not an inexpensive hobby. Keeping your rods, reels and tackle in good condition will not only save you money but will decrease the chances of you losing out on your next personal best catch when the time comes. Never soak or submerge your reels in water. It can force salt, dirt and grime into the gears and ball bearings, ruining your reel. If you think your reel needs a deep clean it’s recommended you let a professional handle it. Use a wet rag to wipe down the outside of the reel with fresh water. Loosen the drag and remove the spool to rinse the line in clean fresh water. Wipe the inside of the spool with a wet rag. Lightly grease the main shaft while you have the spool off. Use a wet rag to wipe down the rod, paying extra attention to the guides. Guides can be greased to prevent corrosion, damaged guides should be replaced to keep your line from being damaged. Rod grips can be rinsed off with warm water and soap. 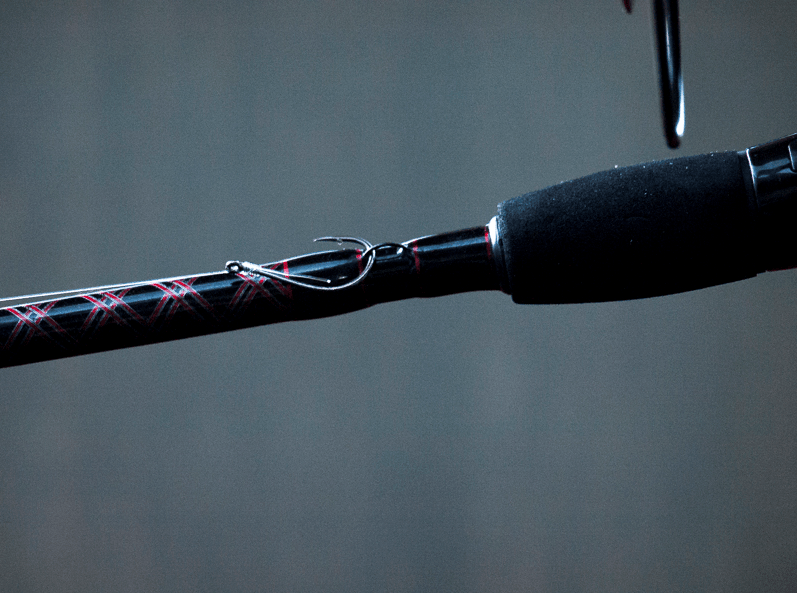 You should keep the drag loose while you’re storing your reel between trips. It’s great when you find a lure that works and you’ll want keep it around for a while or maybe you want to bring an old lure back to life. Before touching up your lures, if possible you should remove the hooks to avoid getting stuck by one. It’s a good idea to use a small pair of pliers to help get hook started then slowly work it off of the split ring. Make sure if you replace the hooks that you use the replace it with the right size hook. Rinse the lures with warm water. Properly removing your lure from a fish’s lip and taking care of your lure while your fishing can also prolong the lifespan of your lures. Use a net or fish grips to get a good hold on the fish when landing it. Using a hook removal tool or a set of pliers can give you a better angle to pull the hook out. Some rods have a small loop for hooking your lure to the base of the rod. If your rod doesn’t have one, keep your lure hung in one of the rod guides elbows and never through the eye of the guide itself when your moving from spot to spot.